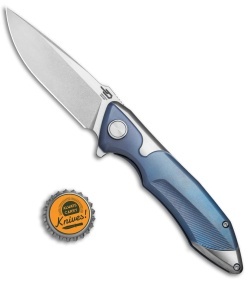 This Starfighter model is outfitted with a two-tone blue and satin titanium handle and a stonewashed blade. 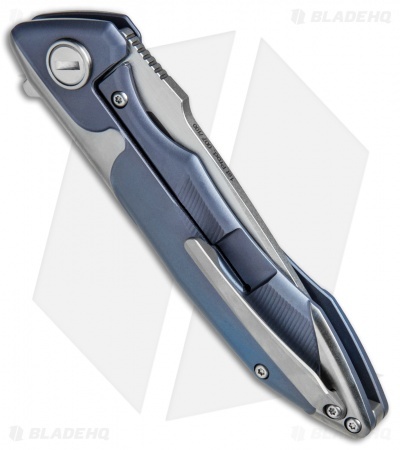 The Bestech Starfighter offers a modern EDC design with solid titanium construction. 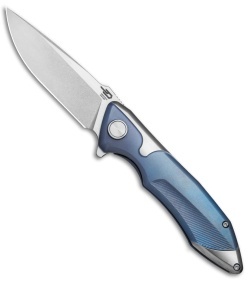 Clean lines abound in the stylishly designed handle and no-nonsense drop point blade. 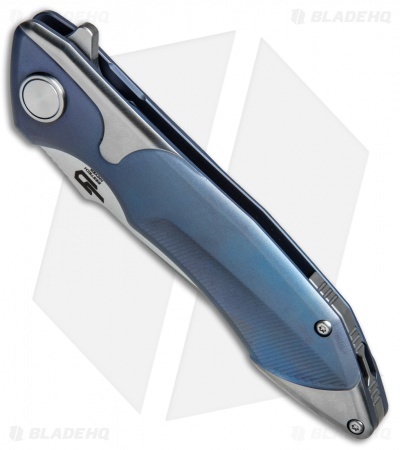 A flipper opener and a ceramic ball bearing pivot provide smooth blade deployment when response time is at it's most critical. 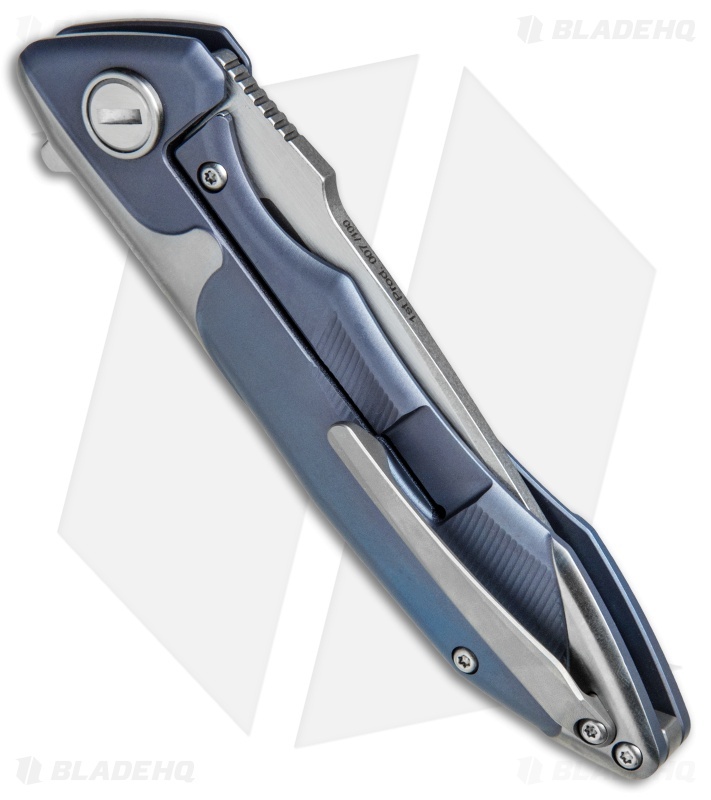 A low profile titanium pocket clip and backspacer finish off the stellar Starfighter design from Bestech Knives. 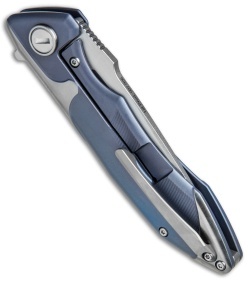 Titanium frame lock handle with steel reinforced lock bar for unstoppable blade lock up. CPM-S35VN steel offers a high performance blade for any difficult cutting job. Ceramic ball bearing pivot provides ultra-smooth blade deployment.